With the course of its history of innovation tracing back to the year 1950, Boolani Engineering Corporation entered the Plastics Machinery Building business with the design and construction of India's first Extrusion line for Compounding. Ever since Boolani Engineering Corporation has continuously developed cutting-edge, wide range of innovative firsts in Plastics & Synthetic Fiber Melt Spinning equipment with over 15000 installations globally for the ever-expanding Plastics & Polymers industry. Boolani Engineering Corporation is dedicated to design and build only the highest quality and economical operations extrusion lines for a wide range of end products like films,sheets,pipes,profiles,wires & cables,mono & multi-filament, raffia tapes,straws,refill tubes,ball pen bodies,recycling and compounding,etc ,Injection & Blow Molding Machines for and other ancillary and allied equipments. Highly robust and consistently productive, and with economically viable pricing, the equipment is engineered for standard and custom extrusions for commercial and industrial applications When it comes to plastics extrusion equipment, Boolani Engineering Corporation leads the way, Worldwide ! 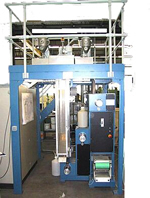 Besides having a range of standard and tailor made equipment for various applications in the Plastics Industry BEC also caters to Fiber,Food and Pharma Industry with innovations to meet the customer requirements.BEC also specializes in Lab equipment for Extrusion and other processes for every application as mentioned above.